When I spied the beautiful agate slices in their shop, along with the sparkly Swarovski crystals, I knew it would make for one fab statement piece. I love combining earthy elements with glam, so this really represents me and my aesthetic completely. I made 2 necklaces in about 45 minutes, I think the hardest part was deciding upon the arrangements of the crystals. 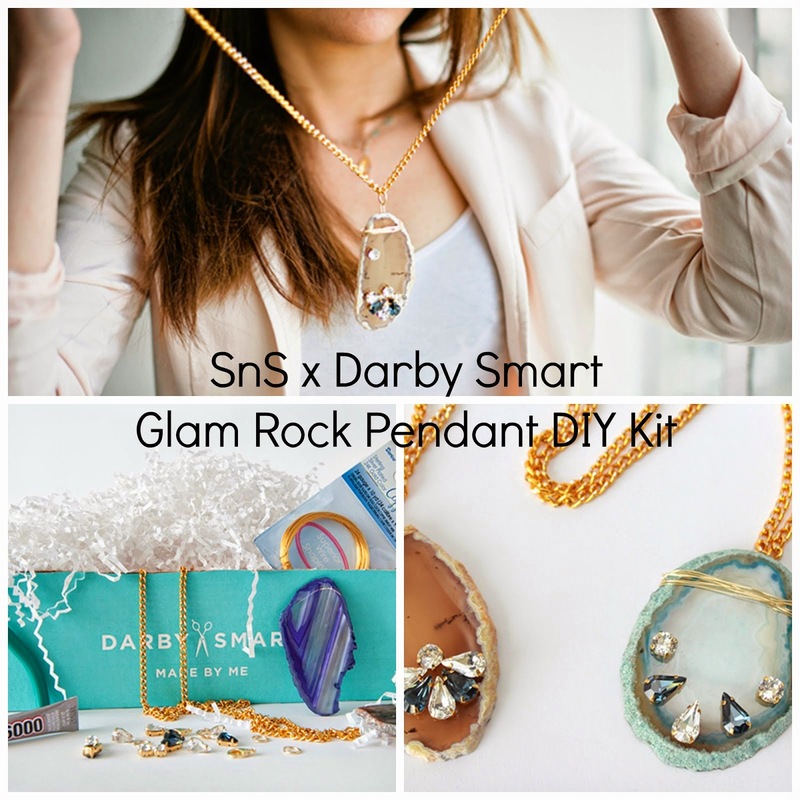 Darby Smart is selling the kits on its website for only $24, including everything you need to create 2 gorgeous necklaces! The best part? You don't have to go running to 3 different stores to find the supplies - win! CLICK HERE TO ORDER YOUR OWN GLAM ROCK PENDANT DIY KIT!